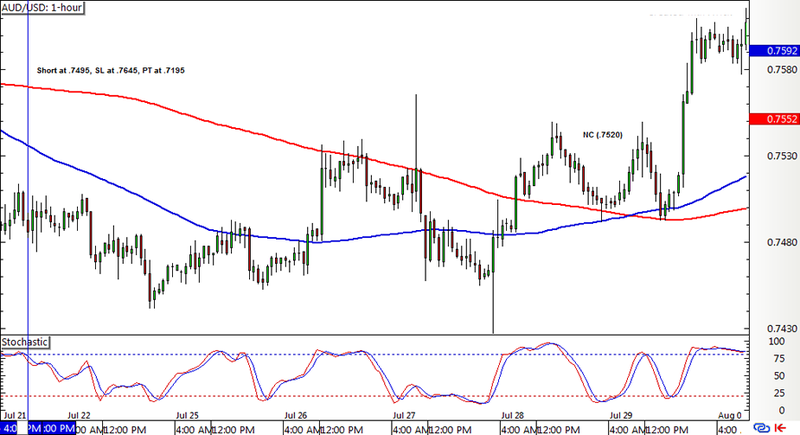 Looks like the SMA Crossover Pullback forex mechanical system got caught in the middle of reversals last week! If you’re wondering what I’m talking about, make sure you look at the trading rules and risk management adjustments first. In my update last week, EUR/USD had a short position left open but price just kept moving sideways for the most part of the week before eventually heading north. A new crossover took place, causing the position to get closed early for a small loss. Cable also had a short position left open from the previous week, with price eventually falling low enough to activate the 150-pip trailing stop. However, this stop was triggered on a pop higher before a new crossover materialized later on. 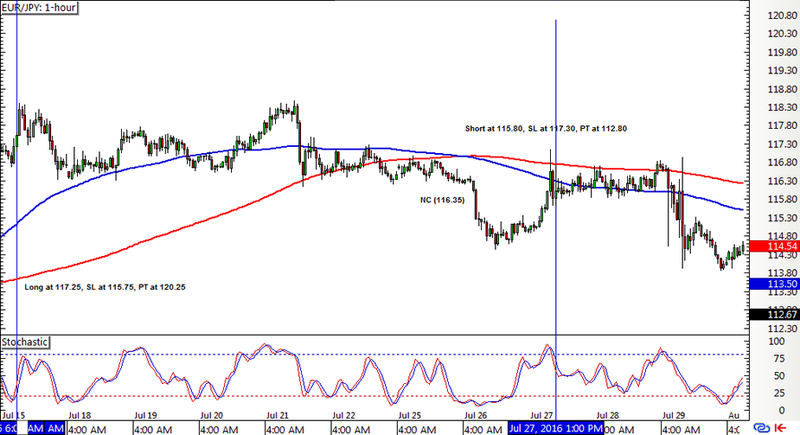 EUR/JPY broke down from its sideways action around the start of last week but fortunately a new crossover allowed the long position to get closed early before price hit its full 150-pip stop. 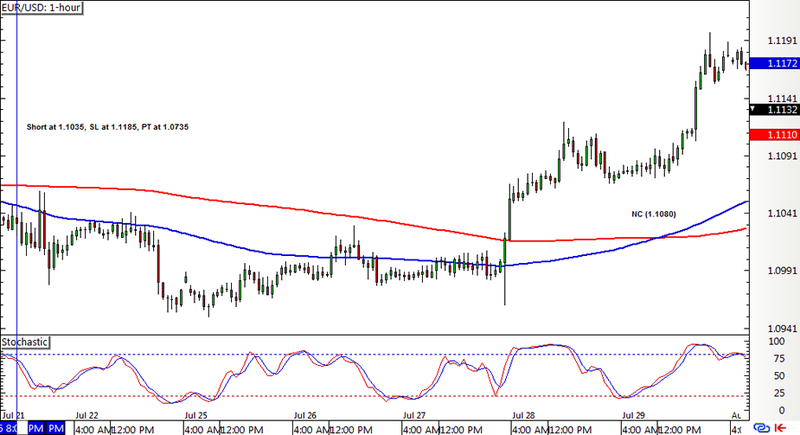 A new pullback signal materialized soon after. Lastly, AUD/USD’s short position from the other week barely gained much downside traction before bulls took over and spurred a new crossover. 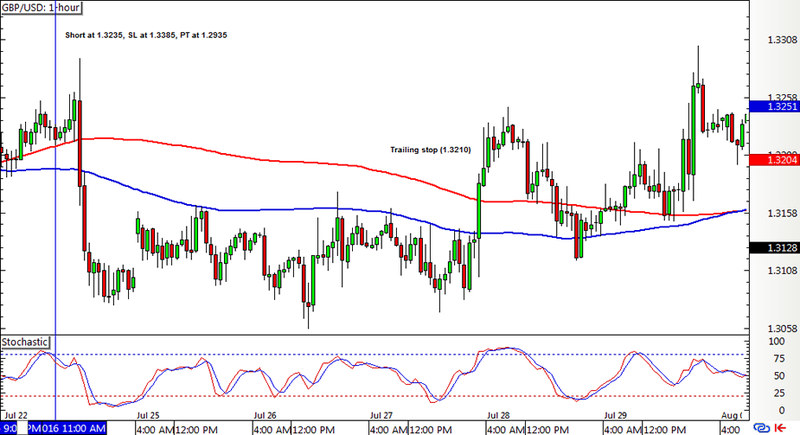 All in all, the SMA Crossover Pullback system logged in a 135-pip loss or a 0.90% dent on the account with four positions entered and closed around the end of the trends. New crossovers and signals have formed, though, so I’m keeping my robot fingers crossed that these could make up for the recent losses and chalk up strong gains for the week. ‘Til my next update!